They’re the headlines that raise the occasional eyebrow. A flotilla of 28,000 rubber ducks, now in their 26th year afloat, whose odyssey was launched by a rogue wave. Cornwall’s Lego Tide, which has entered its third decade. The 2,862 luxury cars at the bottom of the English Channel after the MV Tricolore disaster. The £1 million worth of bespoke engineering parts that looters were allowed to keep after the 2007 Tripoli accident. 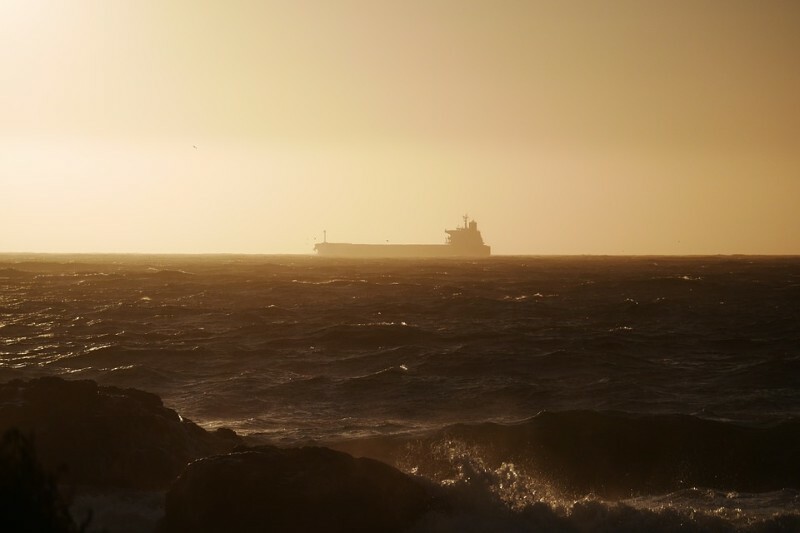 As fates, watery graves or futures as a castaways remain rare consequences of the global carrier industry. Of the 33 million containers in current service, only around 27 are lost each day. However, whether by road, air, or sea, or simply whilst in a warehouse, the journeys that freight undertakes can be perilous. Insurance is therefore important, and is a requirement under European Law. However, all insurance policies are different, and there are some important questions to consider when determining which insurance is the best option. Here are the six most important questions to ask. 1) Are The Goods High Value? Traditional insurance is calculated on weight. There are obvious flaws in this strategy, particularly when transporting high-value freight. At NTEX, we are used to transporting high-value goods, and can arrange the best insurance for your cargo. With high value goods, quicker is usually better. Therefore, make sure that your carrier can move everything from door-to-door in the fastest timescale. 2) Is The Cargo Lightweight? Not all value is measured in kilograms. Unless you’re transporting rubber ducks, it’s often the case that lighter cargos are the most precious. This can leave you short-changed in the event of a mishap. There are various potential solutions, including consolidating shipments to specialised A-rated insurance options. Ask your carrier about their options for consolidating lightweight cargo. 3) How Much Do You Know About Your Carrier? The more generic the carrier, the higher the risk. The more specialised the provider, the more personalised attention your goods will receive. Doing your homework is therefore worth the effort. If you are transporting goods into countries with non-standard customs, such as Norway, it’s a good idea to ensure that the carrier knows the local information so that you don’t find your goods stranded – something that insurance rarely covers. 4) Does The Carrier Have An Established Agent Network? When transporting freight, it is tempting to think of the journey involving three phases: collection, transit, and delivery. However, during the transit phase, many different zones, legislative systems, transport networks, and vehicle types may be involved. Making sure that the carrier has agents positioned at many points along the route means that difficulties can be taken care of before they arise. Insurers prefer this, and will reduce premiums if carriers have a good network of agents. When exploring the agent network, it is helpful to ensure that the carrier is a specialist in the type of freight that you are transporting. Ask your carrier about their item specific experience to determine whether they are capable of fulfilling the requirements reliably. 5) Can My Carrier’s Technology Offset Premiums? The more visibility that a carrier offers, the lower the insurance premiums are likely to be. Look for companies that install GPS in both cabs and trailers. Insurers prefer this, as it offers an extra safety net whilst also increasing the chances of recovery if items are stolen. 6) Is The Shipping Company Licensed? In order to become licensed, an organisation has to meet stringent sets of criteria. These include the practicalities, such as being able to get goods from A to B safely. They also include more abstract issues, such as professional integrity, financial reliability, and operational efficiency. If a company is licensed, the risk of accidental damage or loss is reduced, and so too are insurance premiums. A good carrier will always be able to advise on the best insurance pathway. NTEX are specialists in moving valuable freight between the UK and Scandinavia, and can therefore offer advice about insurance for these routes. You can contact us here, and we’ll be happy to offer the insight that we’ve gathered over the last two decades. 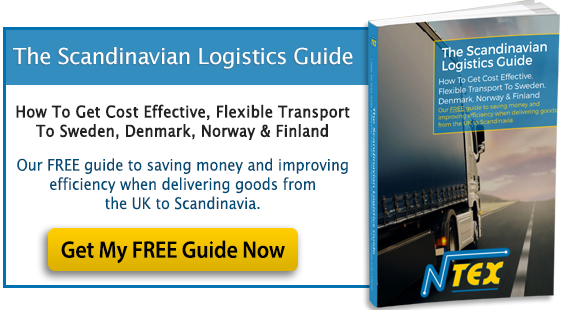 Our free logistics guide also offers more information about how to optimise your Scandinavian transport logistics options, especially how to keep costs low.